CSS Grid Layout shipped in production browsers 2017. CSS Grid Layout brings a twodimensional grid system to the Web. View CSS and Web Design. Introduction and hands-on workshop about CSS Grid Layout, Codepen.io and Firefox developer tools. 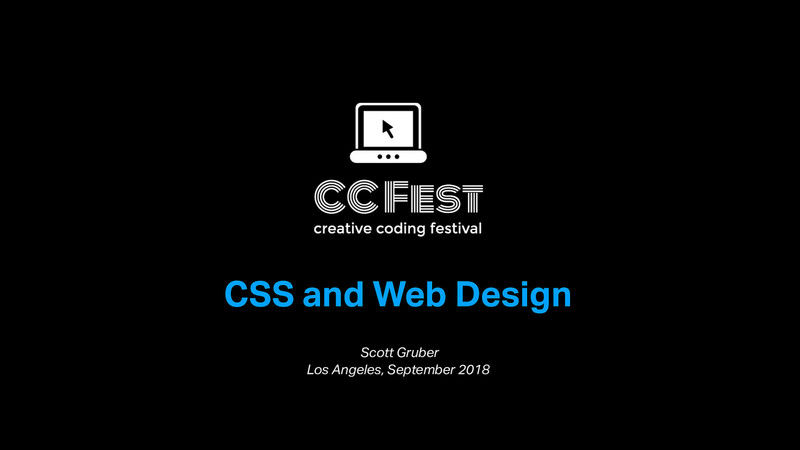 Creative Coding Fest rocks LA on Sept 8 ⁦@UCLA⁩. #CCFestLA is a free one-day festival for high school students and teachers to get their coding groove on. I’m cooking up a lesson about CSS Grid Layout and Web Design.